Is a spacious 3 storey Victorian house over 3 floors. all to aid the children's physical (gross-motor skills) intellectual,social & emotional development. I have a patio area with table/chairs & parasol where there are plant pots for children to do gardening. There is also a range of books, dvd's memory-games,jigsaws, dance and music cd's for all ages. I have a downstairs cloakroom (toilet & sink) I also help parents with potty training when the child is ready for this transition. Parents would need to provide a potty for their child due to hygienic reasons. We have 2 Cocker Spaniel dog's Lady 10 & Tiger-Lilly 9.They are very loving & have been use to children since being puppies. Fully up to date with vacs, flea/worming.They have their own rooms when I'm working & don't go where children play/eat. I am also a qualified Interior Designer i trained at Nottingham Trent. I do baby signing with the children to assist in their communication and development &child led weaning. I have been a Ofsted registered childminder for the past 17 years & a Ofsted registered Home Childcarer (Nanny) for 5 years now. I have looked after alot of children of all ages within this time, i have 31yrs experience from having my own :) and i have worked in 2 day nurseries, i was a Special Needs Co-Ordinator in one of them. I am proud to be awarded the highest 'FOOD RATING' a perfect '5 Very Good' for my food hygiene standards by Broxtowe Borough's Environmental Health before my house move which now i am living under the Amber Valley Borough of Derbyshire and the rating has now ceased for childminders. Plus i have attended lot's of other courses relevant to my business & update as and when necessary for my Professional Development. I am available for your baby sitting need's in the evenings at my setting or parents home from 6pm onwards please see fee's below for details. I am also available for overnight childcare in my setting or at parents please see fees below for details. I work term times and school holidays. I provide full day care or half days from just a few hours a day to long term. I can provide Term-Time only care when required with no fees in school holidays. I can also provide babysitting at short notice if I have availability. But balance will need to be cleared by the end of each week preferably but monthly otherwise by standing order. *Half fees are payable for childcare when parents take their holidays or full fee if off sick or not in on an arranged day to keep their childs place, but no charge for any of my time off. No fees payable for school holidays if only Term-time childcare is required also. * £6.00 per hour if just the odd hr required during week days during a work day Mon-Fri.
Saturday (day time) Food, snacks & drinks inc in fee. Special fee if block hrs required and for siblings. Sunday (day time) Food, snacks & drinks inc in fee. Also available for baby sitting (at my home) anytime to suit 7days a week. Evening snack and drinks inc in fee. * Fees Mon-Fri 6pm onwards £10.00 per hr, Sat £10.00 & Sun £10.00 from 6pm until 2am. Discount for siblings if block hrs required. *Friday morning until Sun teatime £200.00. *School holidays a packed lunch will need to be provided for each child for full day care bought in a cool bag with ice pack, breakfast, snacks, tea & drinks is provided inc in fees. * I accept childcare vouchers from different childcare providers, cash, standing order, care to learn funding, direct payments from colleges, universities/job centres for childcare payments and tax free childcare. I do not provide the 15 or 30 hour funding as state schools or certain nurseries do. Day time/night fees inc the children's food, snacks & drinks with no extra fees but excludes baby formula/baby foods, full fat milk for toddlers, nappies and baby wipes as these need to be provided by parents. Full menu on request that is seasonal. * Nappies, wipes, creams, baby foods/milk formula will need to be provided (day/night) for babies & full fat milk for toddlers up to the age of 2yrs. * Additional costs payable for soft play centres/ Swimming or where a fee applies upon outings. So if you are looking for childcare at short notice within my childcare numbers, or want to reserve a place for after maternity leave e.g a year in advance no problem. 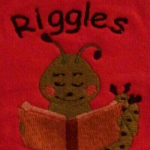 Below are the latest reviews for Riggles. Please note that reviews represent the subjective opinions of other Childcare.co.uk users and not of Childcare.co.uk. Parents must carry out their own checks and references on childcare providers to ensure that they are completely happy before enaging in the use of their services. My boys had a really nice day. My older boy showed us the pictures he painted. After we drop off the kids we will receive text messages about how the boys doing during the day. Well recommend. We finally found trusted childcare service. Dawn is an excellent child minder. Very professional and knows exactly what she's doing. My girls really enjoy going to dawn's as she keeps them nice and busy with lots to do. Dawn is highly recommended by myself. My lads had fun there. Really enjoyed it. Very understanding as my youngest son is undergoing diagnosis for adhd. Would recommend.